The U.S. Department of the Interior (DOI) protects America’s natural resources and cultural heritage and supplies energy to the country. Within its oversight are the National Park Service, the U.S. Fish & Wildlife Service, the Bureau of Indian Affairs, the Bureau of Land Management, the Minerals Management Service, and the U.S. Geological Survey. 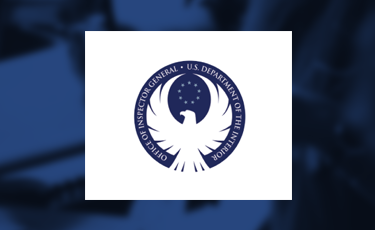 The Department’s Office of Inspector General (OIG), an independent oversight body, audits, investigates, and evaluates DOI programs and activities. DOI’s OIG, like other OIGs, has historically uncovered fraud and mismanagement most often after it has been committed. The office’s new leadership team wanted to be more proactive and be able to prevent fraud before it took place. To achieve this goal, leaders sought a more transparent and collaborative approach to management. Acting Inspector General Mary Kendall also wanted the OIG to be better able to identify high-risk, high-impact programs, thus enabling it to apply its limited resources (a $49 million budget and staff of 285) more effectively. A strategy map-based management system was the answer for facilitating this proactive, strategy focused, and balanced approach. Rather than allow the 2010 Deepwater Horizon oil rig accident to derail the new strategy management program, OIG leaders reinforced the importance of completing the strategy implementation. In January, the leadership team began implementing a new strategy map and balanced scorecard. Within five months, the OIG had developed a change agenda, strategy map, and scorecard. In June, it held its first quarterly strategy review meeting (SRM). And, a new function, called their Strategy Management Office is now in place. How did OIG do all this so quickly? Motivation was a big factor. Besides that, five teams worked in parallel: the leadership team; a core team; a development team, which hammered out the strategy map; a validation team, which obtained bottomup feedback and buy-in; and a measurement team. The teams achieved a major implementation milestone nearly every week, with one team creating output and another reviewing and editing it. Following the April 22, 2010, Deepwater Horizon oil rig accident, the Department of Justice requested that the OIG lead a multi-agency investigation; at the same time, the DOI Secretary requested an in-depth internal review. Rather than allow the catastrophe and the requested work to derail the new strategy managemen program, OIG leaders reinforced the importance of completing the strategy implementation. All the elements on their strategy came together on the local and regional level. It emphasized cross-functionality and communication as a requirement for an proper response to the Deep Horizon accident. The incident forced a total blend of OIG’s audit and investigation sides. As senior staff was thinking more strategically in planning, when the spill occurred, the OIG was able to devote its regional resources to it.